Championship coach headed to the Motor City. 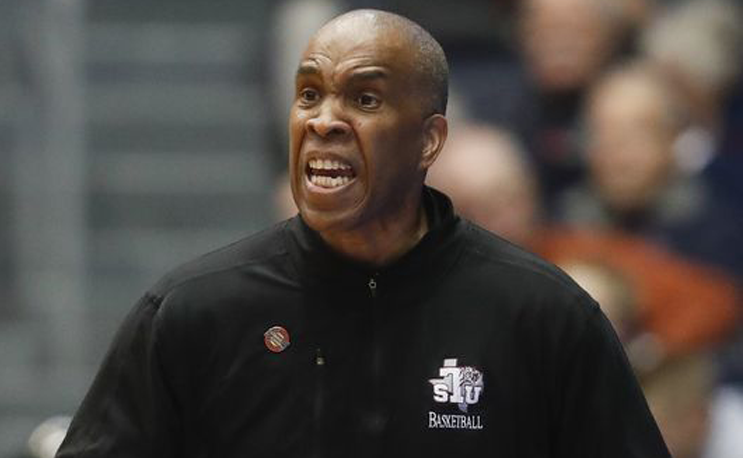 According to a report, Mike Davis is leaving Texas Southern to accept the head coaching job at Detroit Mercy. Mark Berman from Fox 26 in Houston reports that Davis informed the administration on Tuesday afternoon that he was leaving for the Detroit Mercy job. “He’s done a tremendous job at Texas Southern University,” Dr. Charles McClelland told Berman, sports director for Fox 26 (KRIV). “We owe him a great debt of gratitude for all that he’s done. I know he’s going to do well there. It’s going to be a huge loss for Texas Southern. Davis has been with Texas Southern for the last six years. He has led the Tigers to four SWAC regular-season championships and four titles in the SWAC postseason tournament. Just last week, his son Antoine Davis announced he was not going to play at the University of Houston and would instead play for his father at Texas Southern. The younger Davis spurned offers from larger schools after deciding against Houston. It’s not immediately known if Davis will follow his father to Detroit Mercy. Last summer Mike Davis was mentioned to be in the running for the jobs at Jacksonville and San Jose State. Davis addressed those rumors a year ago and made it sound as if he would be in Houston for the long run. Apparently, there was a miracle in Detroit.